Bureaucracy is often associated with something extremely annoying. Everybody can link bureaucracy with filling out forms. There aren’t many people living on this planet, who like filling out forms. It is the same in the digital world. Expedia removed a field “Company” out of their form and their yearly revenue increased by 12 million dollars. However, sign ups are crucial for your business. It is the most important feature of your website/app because anonymous users suddenly become registered users. It is therefore essential to make sign-ups as clear, simple and painless as possible. A signup form should only contain the necessary fields. Having fewer input fields saves the user time, the form is less annoying, and the user tends to make fewer errors. If you want to collect optional information, limit it to a maximum of 1 or 2 input fields and make sure you visibly mark them as optional. 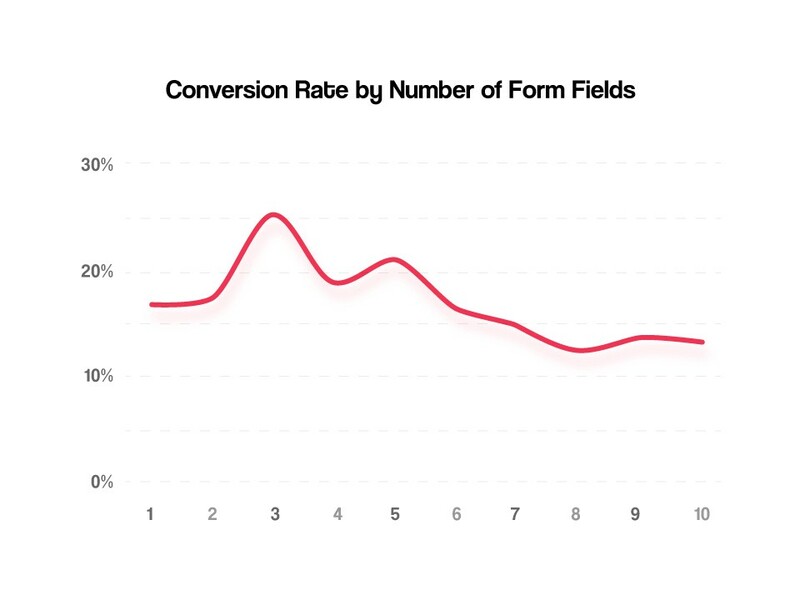 A company reduced its 11 field contact form to 4 field version, which resulted in 160% increase in forms submitted and 120% increase in conversions. Dan Zarella from Hubspot analyzed more than 40,000 landing pages and concluded that forms with 3 to 5 fields generate the most conversions. If you need to have a longer sign-up, split it into more steps. Remember that a sign-up is a small form of commitment, that your visitors are giving you. If they have a tough time filling it out, the commitment will not last long. You can always ask for more information later. Do not put obstacles into your users’ way, rather remove them. The easiest way for many people to signup is by using their existing social media accounts. It is a very powerful tool which saves your visitors a lot of their precious time. 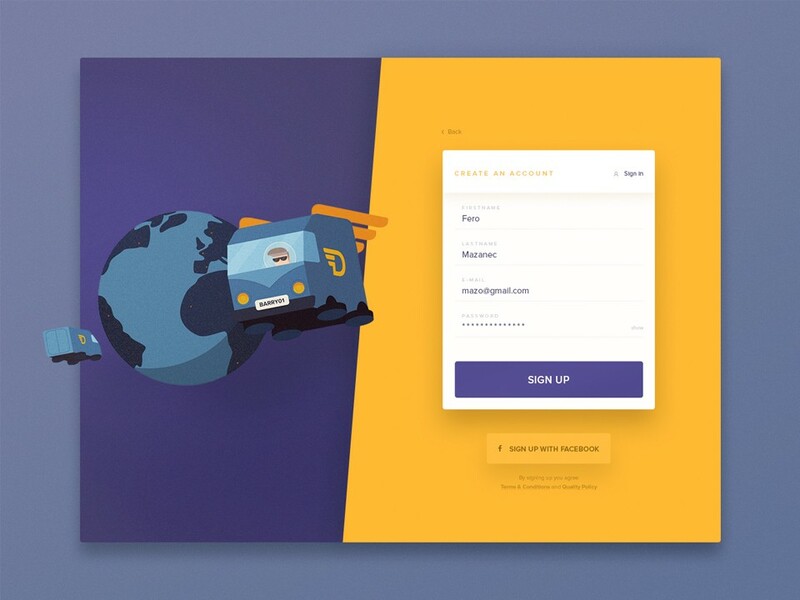 Research conducted by Janrain shows that 92% of visitors admitted that they had left a website because they had to register using the traditional approach (i.e. they had to come up with new username and password). According to WebHostingBuzz 77 percent of the visitors are comfortable with social login and 80 percent of users will choose social login if it is available. Let your visitors choose the one that works best for them and give them different options for sign-up. Design is important, not only does your website look better, but according to a study conducted by Dr. Brent Coker, people’s trust in websites is largely determined by the design of a website. “Humans are aesthetically oriented and psychologically hardwired to trust beautiful people, and the same goes for websites. Our offline behavior and inclinations translate to our online existence. As the internet has become prettier, we are venturing out, and becoming less loyal,” said Dr. Coker from the University of Melbourne. The same applies to sign-up forms, the better they look, the more likely are the visitors to share their information with you. Stick with the single column design. According to an eye-tracking study, single column sign-ups work better, because people expect to see their name, address, etc. in a single column. The CTA button has to be aligned with columns and also it has to have the right size because otherwise, it looks like a fake download button on a not so trustworthy website. People also want to know that they are not the only ones who signed-up to your website. Add social proof to your website to assure people they are part of a community. Let your visitors know right away if they are doing something wrong. If there is some information missing, highlight the particular field where the user made a mistake. The password field is very important. Don’t be too restrictive. Ideally, let your users choose the password they want. If your website deals with sensitive information, let your user know the rules for creating a password, also include an option to see the password as they type it. You should also let them know, whether caps lock is turned on. Every good sign-up has to have a good title. Show your visitor the benefits of signing up for your website, which will motivate them to do so. You can also add security badges to ensure their trust. The text before and after the sign-up is also important. Research shows that 65% of people will likely return to a website if it is welcoming them by name. This is a simple way to encourage them to visit again. If you want to know what your visitors want to see as they are about to sign-up to your website, you have to test your sign-up forms. A/B testing is the most commonly used tool to identify what works best. You can also track your form using Google Analytics. By analyzing those valuable data, you can develop your sign-up form and gain more registered users. As you have just read a sign-up form is a very complex element of your website. It is also critical because when sign ups are filled out, they turn your visitors into registered users. 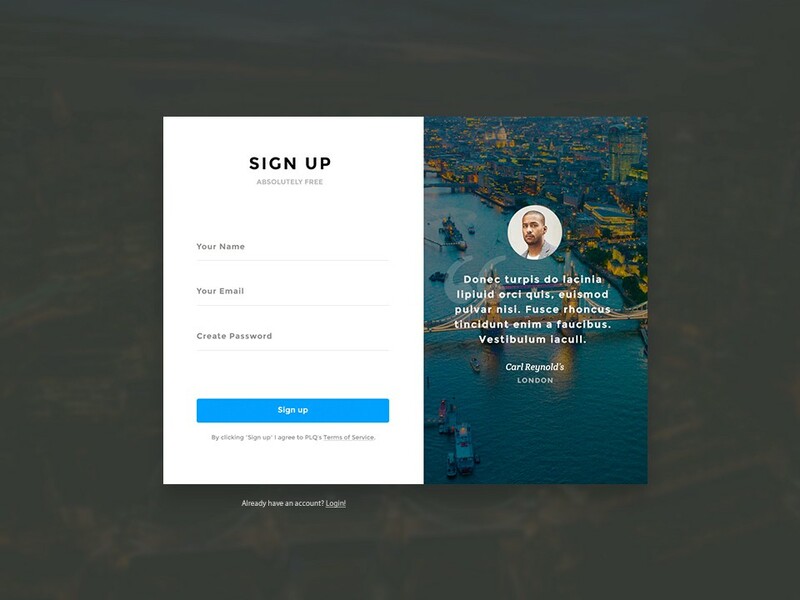 A well thought out sign-up form increases your conversions, and it also pushes users to stay on your website longer. Most professional designers are aware of the principles mentioned above however they need to stay up to date on new design developments.